I wasn’t a big zucchini fan. I never liked it raw. Probably because my mother used to swap it in for cucumbers thinking us kids wouldn’t notice. And I quit ordering it when I ate out because too often it arrived overcooked and mushy. So when my girlfriend told me she was making a cold zucchini salad to go with dinner last week, I can’t say that I was excited. But being polite, I knew I’d try it anyway. I was really surprised. 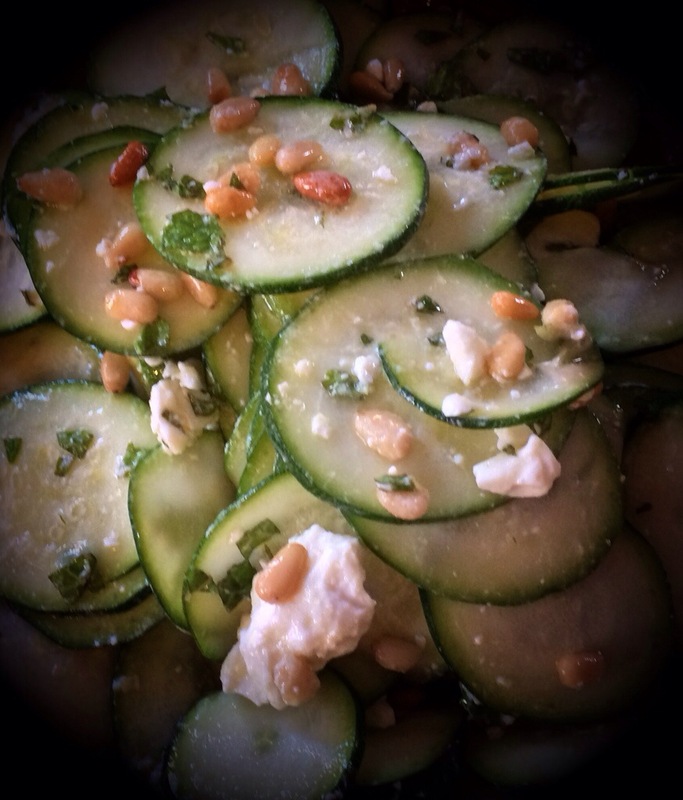 The thinly sliced zucchini wilts a little once it is dressed, but retains some crunch, making the dish light and refreshing. The next night at home, I tried to recreate her salad. And now I may be a little obsessed. I served it with steaks one night and grilled lamb chops on another. Tonight I can’t wait to have it with salmon. Combine all the ingredients in a bowl and toss until evenly coated. I do this about 15 minutes before I want to serve it. Yum! I think the olive oil and lemon juice transform raw zucchini into something edible. I’ll have to try this recipe; it sounds perfect for a summer night!